Why Should I Freeze Summer Squash? Some gardeners harvest large amounts of summer squash at once and want to save some to use later in the year. Bargain hunters can buy large amounts of squash when it is at the lowest prices and freeze a portion of their haul. You can also freeze prepared squash if you want to have cut, prepared squash sitting in your freezer, ready to dump into a dish any time for a quick dinner. You would not want to freeze summer squash to eat fresh or in a salad. Frozen squash will taste best if you defrost and then cook it. 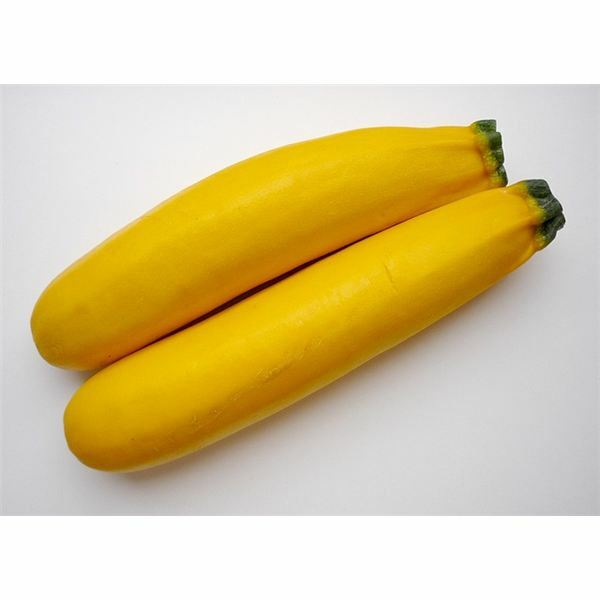 Choose squash that is fresh and tender. You can prepare the squash in whatever fashion you would were you not freezing it. For example, wash it well under running water to scrub off any dirt or debris. Slice it into rounds or half-moons, grate it or cut it into thin sticks, depending on how you plan to use it after it defrosts. Make sure not to let the squash sit between cutting and blanching or between blanching and freezing. Doing so will cause the squash to become discolored. Fill a large pot with boiling water and prepare a large bowl with ice-cold water. Place the cut squash into a blancher (a mesh pot insert), lower the blancher into the water and allow the squash to boil for three minutes. Remove the blancher from the pot and immediately submerge it in the ice-cold water. Add more ice if necessary to keep the water freezing cold. To blanch grated squash, make sure that the squash is not submerged in the boiling water. Instead, the boiling water should only reach a couple of inches below the blancher. Continue with the same cooling method for cut squash. After blanching, drain the squash very well, making sure that all liquid has been removed. Seal the squash in a plastic bag or container, leaving a small amount of headspace for expansion. Place the bag or container into your freezer, on the top shelf if possible. Remove the frozen summer squash from your freezer the night before you want to use it and place it in the refrigerator. If time does not allow for this slow defrosting process, you can use the defrost setting on your microwave as an alternative. If you are sautéing the summer squash with some other vegetables, you may be able to add the frozen squash to the pan while it cooks. Avoid this alternative, however, if the squash has frozen in large, solid chunks, as the outside will be cooked while the inside stays frozen, causing uneven cooking. PickYourOwn.org: How to Freeze Summer Squash – Easily! Trying to find some exciting new vegetables recipes? Squash is a healthy, easy-to-cook vegetable. Just take a look at this series on how to cook squash for specific instructions about acorn squash, butternut squash, spaghetti squash, and yellow squash.